Obamacare exchanges opened on October 1 and two weeks later news is trickling out about what a disaster the program’s roll out has been. It’s not only technical troubles plaguing the program, but a seemingly outright disinterest in signing up for it. It looks like Montana Democratic U.S. 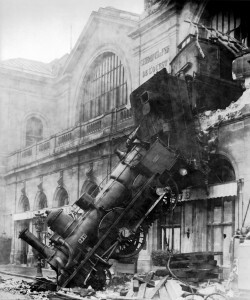 Senator Max Baucus was right when he warned of the “trainwreck” Obamacare implementation would be. In Oregon and Colorado, the official number of completed applications is zero. Then news broke this morning that the number is actually slightly higher than zero, but not by much. The latest Quinnipiac poll of Colorado in September found voters disapproved of Obamacare by a 52%-33% margin. We suspect this latest news won’t make things any better for supporters of the law. A Republican critic of the new health care law, U.S. Rep. Cory Gardner of Yuma, said Colorado numbers are an embarrassment given how much the state spent marketing and explaining Connect For Health Colorado. Gardner cited ads at Denver Broncos games and TV campaigns. “Look, if you spent $21 million on a bake sale and sold 10 dozen muffins, that would be a complete disaster,” Gardner said. Pingback: Colorado Peak Politics - MEASURING OBAMACARE: Will More People Sign Up Than Have Their Insurance Cancelled? Come March, if there are less that 20 MILLION enrolled, it is a failure even by their standards. It is a failure by most people's standard no matter how many opt in. Between Obummercare and the United States' fiscal situation, this nation is going to crumble under it's own weight before we even have a chance to replace him with someone competent. I personally welcome the collapse at this point, though. Gonna have to get worse before it gets better, and if we keep going at this rate, foreign interests will own the entire USA. Buncha ivy league idiots in congress can't figure out that when you are spending more than you're making, the solution is to spend less, not borrow more. Apparently they all slept through economics. Tammy Beckwith Hare, Kaiser is great unless you get sick. It is an HMO. that might be seen as a sign of desperation, they should be more careful if they don't want to let folks know they are worried. Nearly $200 million tax dollars sunk into Amycare and they're not done. If you go to the Facebook Connect for Health Colorado, the TAXPAYER-funded exchange, and make a comment not totally from the cheering section, they ban you from further comments. I filled out the forms for "Obamacare" and was told my coverage would be medicaid and was redirected to fill out more forms and sign up(which I did). THEN I got a letter stating"You are not eligable for medical assistance now, but you might be eligible after 01/01/2014". Anytime the government gets involved with anything it is going to turn into a bureaucratic nightmare of asinine proportions!!! 21 million dollars to promote Obamacare and only 226 people signed up in Colorado in the first week!!! It doesn't matter what we want. Obamacare is not about healthcare. it's about the government controlling our lives. Ben Carson couldn't be more correct. Well, well, well…. maybe this will finally show the Feds that WE DON'T WANT the ACA!! and the DC water bearers we've suffered are getting booted… the state is going back RED! Do not let Stephens near DC! waste not… want not… My friend Sean Paige said once, " The “public process,” especially at the federal level, clearly no longer serves the public interest. It’s rigged in favor of professional radicals and obstructionists, and it almost always results in the outcome desired by the bureaucrats and political appointees who run the process. It, like so much else Washington does, has become an elaborate charade, which purports to do one thing but does the opposite." This is Amy Stephens' and Boyd's train wreck. Let them repay CO for $21 million wasted! Watch the pot shots at Dan Maes…. Facts are that Hickenbama is running the program and you can't blame Bush or Maes for the failure even if you'd like a scapegoat other than your buddy.